In southwestern Colorado stands the “Ultimate Outlier”, one of the most remarkable examples of the Chacoan culture’s organizational structure. Chaco Canyon served as the ceremonial center for more than 200 independent communities linked by economic, political and religious ideals, the furthest of which was the Chimney Rock site. 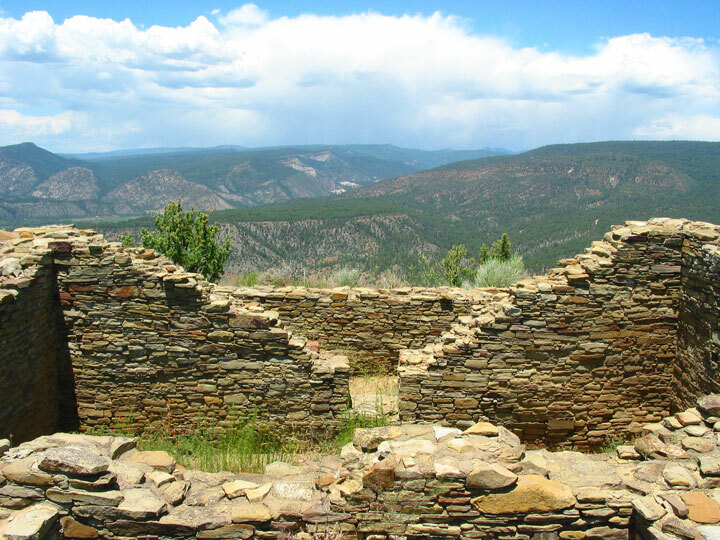 At an elevation of 7,600ft this extremely remote site – l,000 feet above arable land and water – stands as a testament to the design, planning and craftsmanship of the Ancient Puebloans. Abandoned since 1125 A.D., the site retains the authenticity and integrity immediately recognizable as an Ancestral Puebloan site. 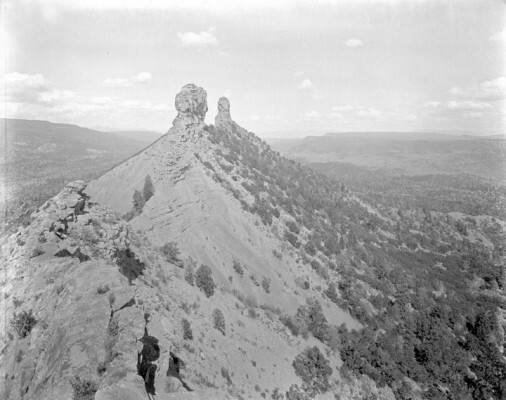 When the site was listed on Colorado Preservation, Inc’s Most Endangered Places hundreds of years of exposure to the elements had taken their toll on the irreplaceable structures at Chimney Rock. Most of the serious structural problems at the Great House, Great Kiva and the Ravine Site Habitation Complex were due to natural weathering and climate changes. Unusually heavy monsoon rains in 2006 saturated soils, causing several walls to collapse and while emergency stabilization was completed, there was still an overwhelming amount of work that remained to be accomplished. On September 21, 2012 President Barack Obama designated Chimney Rock as a national monument, a move that has helped preserve 4,726 acres in southwestern Colorado. This designation will not only be forward momentum towards the future preservation of the site, but will provide a boost for the region by driving tourism.